Genetically modified organisms (GMOs)—foods produced in a laboratory using genetic engineering—may sound like something the Jetsons would serve. In reality, genetically engineered foods are found in the majority of packaged and processed goods produced in the United States. Genetic engineering differs from what's known as traditional breeding, which includes techniques such as hybridization and selective breeding. One hybrid plant is the boysenberry, a cross between a raspberry and a blackberry. Examples of selective breeding include mating only the healthiest beef cattle or saving the seeds of only the tastiest, most pest-resistant tomatoes for next year's crop. These traditional breeding techniques have been a central part of agriculture for 10,000 years and have been used to domesticate and increase yields of virtually every plant and animal found in agriculture today. Genetic engineering brings up strong feelings in people on both sides of the issue. Many believe that because the long-term effects of genetically engineered food on human health and our environment are not yet known, they should be strictly regulated until further study has been done. There is scientific evidence that suggests genetically engineered field crops (corn, soy) that have been modified to include herbicide-resistant genes have led farmers to use more chemicals on their fields, rather than less. Increased herbicide use leads to more resistant weeds, which then require different or more chemicals. The threat of contamination from genetically engineered crops is particularly unsettling to organic farmers. In nature, plants naturally distribute their pollen near and far, spreading their genetic material from one plant to another. In this way, a GMO’s pollen can contaminate organic plants. This threatens an organic farmer’s livelihood and could impact the continued availability of organic food in the United States. How do we know if something is genetically engineered? Although genetic engineering has been used to produce food for decades, in the United States, foods produced with genetic engineering are not currently required to be labelled. Food co-ops participated in a broad consumer movement to protect people’s right to know how their food was produced, which culminated in a nationwide labeling law that passed in 2016 but has not yet gone into effect. For those who do not want to consume foods produced with genetic engineering, purchasing USDA Certified Organic foods is a good way to reduce your exposure. 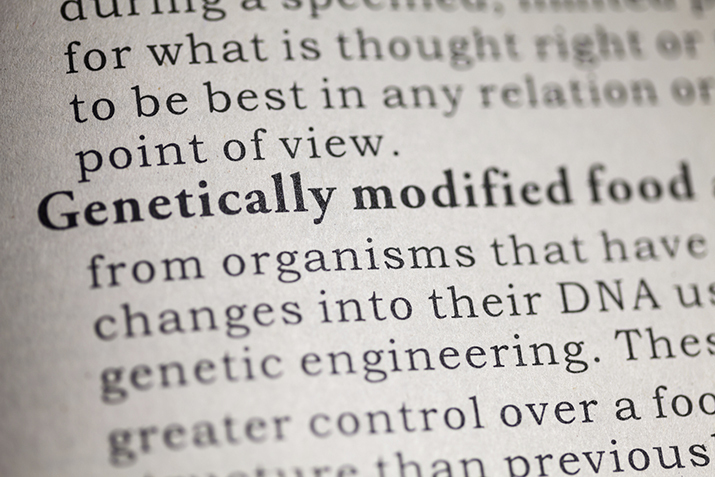 USDA regulations prohibit the use of genetically modified seeds in organic production. Learn more about the benefits of organic.